Hillary Clinton: "Dead broke" comment not very "artful"
Hillary Clinton conceded Wednesday that she could have been more "artful" when she said during a recent interview that she and her husband, former President Bill Clinton, were "dead broke" when they left the White House in 2001. During a largely friendly question-and-answer session at the Chicago Ideas Festival with Chicago Mayor Rahm Emanuel, who was an aide to former President Clinton and chief of staff to President Obama, the former secretary of state was pressed about her characterization. "Dead broke?" Emanuel asked with a hint of incredulity as some in the audience laughed. "Really?" "That may have not been the most artful way of saying that Bill and I have gone through a lot of different phases in our lives," Clinton replied. "That was then, this is now. Obviously, we are very fortunate. We've been given great opportunities." "We have gone through ups and downs like a lot of people," she added. "But, clearly, we're very grateful for the opportunities we've had." During an interview that aired Monday, Clinton told ABC News' Diane Sawyer that she and her husband departed the White House with a pile of legal bills due to various lawsuits throughout the presidency. "We came out of the White House not only dead broke, but in debt," she said. "We had no money when we got there, and we struggled to, you know, piece together the resources for mortgages, for houses, for Chelsea's education. You know, it was not easy." In reality, former Clinton press secretary Dee Dee Myers told CBS News, "They didn't have much in the way of savings or financial security" at the time. Of course, as Clinton noted Wednesday, "That was then. This is now." She received a reported multi-million dollar advance for her 2003 book, "Living History," and the former first couple was set to begin a lucrative turn on the speaking circuit. Their net worth was estimated last year at $55 million. 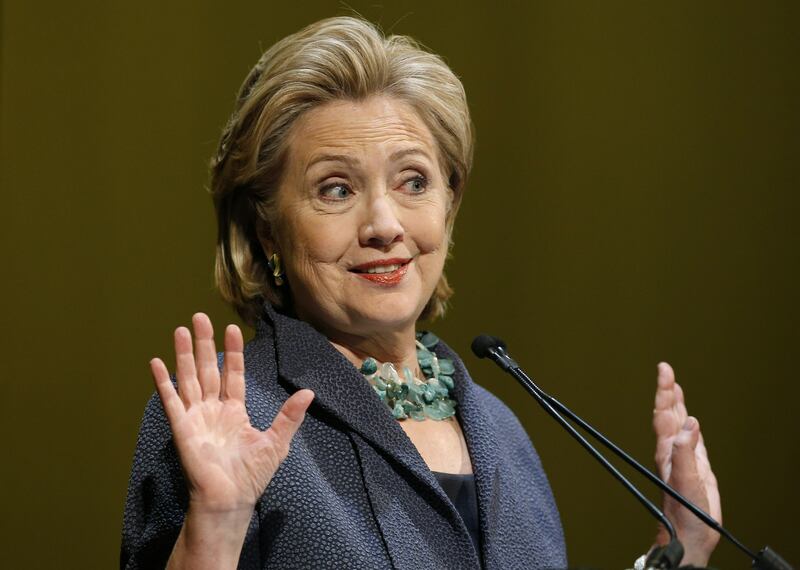 Republican critics seized on the comment to paint Clinton as out of touch. "While American families are struggling to put food on the table, Hillary thinks her situation was bad," exclaimed a fundraising email from America Rising, a Republican political action committee.